Holiday DWI Checkpoints in New York | Raw Law| Law Offices of Adam M. Thompson, P.C. The month of December is typically one of the busiest driving months of the year. Whether you are setting off on a cross country trip to visit relatives or you are just driving across town for a holiday party you will likely encounter more traffic than is usual. You may also come across a DWI (driving while intoxicated) checkpoint while you are out. The best way to avoid being detained and ultimately arrested at one of these checkpoints is to not drink and drive; however, if you did have a glass of wine at a holiday party or a beer at your family get together it may be helpful to understand how checkpoints operate in New York and what they look for when they stop a motorist. According to the U.S. Department of Transportation, the number of motorists on the roadways increased about 25 percent during the Christmas/New York time frame. The increase in traffic alone is enough to create a higher risk of being involved in an accident; however, that same time period has also historically resulted in a significant increase in the number of drunk driving arrests and accidents. In fact, New Year's Day is typically the deadliest day of the year because of the dramatic increase in drunk driving fatalities that occur each year on that day. Not surprisingly then, law enforcement agencies frequently choose to set up DUI "checkpoints" during the ten day period that begins just before Christmas day and ends on January 2nd. 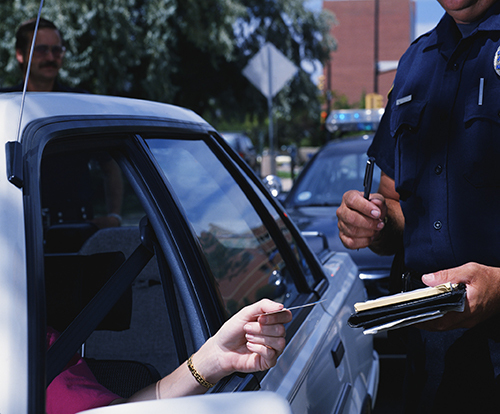 As a general rule a law enforcement officer must have probable cause to stop your vehicle and conduct a search; however, checkpoints are an exception to that general rule. Also referred to as "roadblocks", DWI checkpoints are set up in such a way that all motorists passing through the checkpoint must slow down and/or stop to allow a police officer to conduct a quick "interview". If an officer becomes suspicious after conducting the interview the motorist will be further detained and a full-blown DUI investigation will ensue. The Supreme Court of the United States, or SCOTUS, has determined that DWI checkpoints are legal because the dangers associated with drunk driver outweigh the minimal intrusion caused by a checkpoint. SCOTUS has, however, stressed the need to follow certain guidelines when planning checkpoints. One of those guidelines calls for checkpoints to be publicized ahead of time. Therefore, if you plan to drive over the holiday season and you wish to avoid the hassle and delay caused by checkpoints be sure to do your homework before heading out so that you know where and when roadblocks will be set up throughout the State of New York. If, despite planning ahead, you do end up getting arrested for DWI in the State of New York it is imperative that you consult with an experienced New York criminal defense attorney right away to evaluate your case and get started on your defense. Contact the Law Offices of Adam Thompson today by calling 855-497-2326 to schedule your appointment.